How do you make sound from ones and zeros? Electronic music was born in the basements and workshops of tinkerers with solder guns. These massive cabinets look like the telephone switchboards of the '50s. Robert Moog revolutionized music in the 1960s when he introduced his modular synthesizer, inspiring such artists as The Beatles and The Doors. "I Dream of Wires" is a forthcoming independent documentary by Robert Fantinatto about the machine and the people who have devoted a large part of their lives to it. 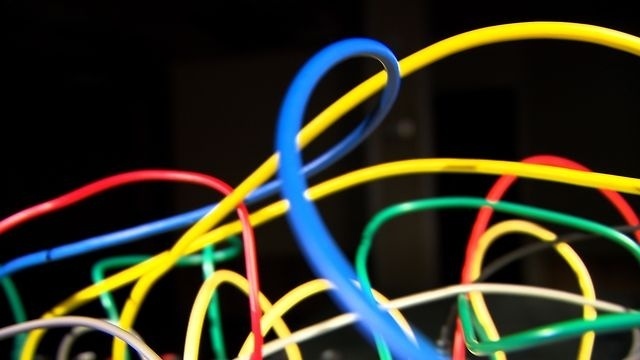 Take a listen to the instrument in "Themogene," the theme to "I Dream of Wires" by Solvent.